Every guest of The Pink Palace comments on the beautiful scenery surrounding Agios Gordios Beach, from the rolling green hills to the tranquil blue sea. What is unknown to the visitors who stay on land are the many secret spots along the shore. Our Kayak Safaris allow you to experience this beauty on a relaxing full day group excursion led by our guides. 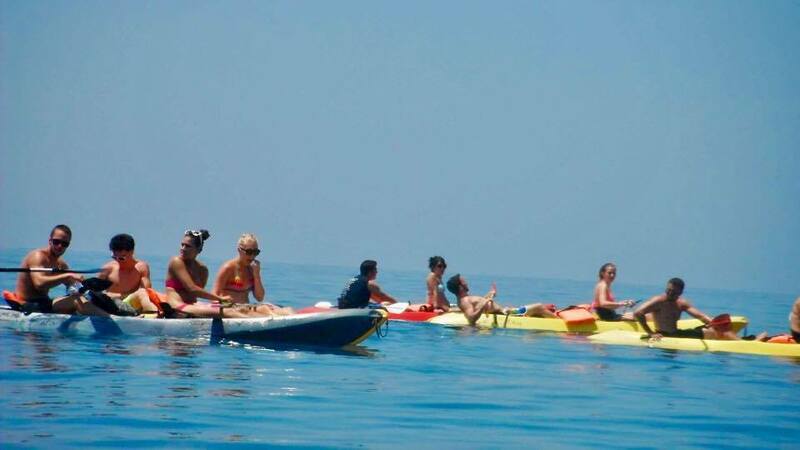 Sign up at reception before 11am and gather at the Beach Bar for our tour to begin at 12pm. Keep your personal belongings to a minimum to bring on the kayak, but be sure to bring sunscreen and if you bring a phone or camera secure them in a waterproof case or bag. You will have many opportunities to take extraordinary photos! We recommend wearing flip flops or rock shoes. The safari allows you to see the amazing natural wonders surrounding The Pink Palace taking you to spots you won’t find on other tours. 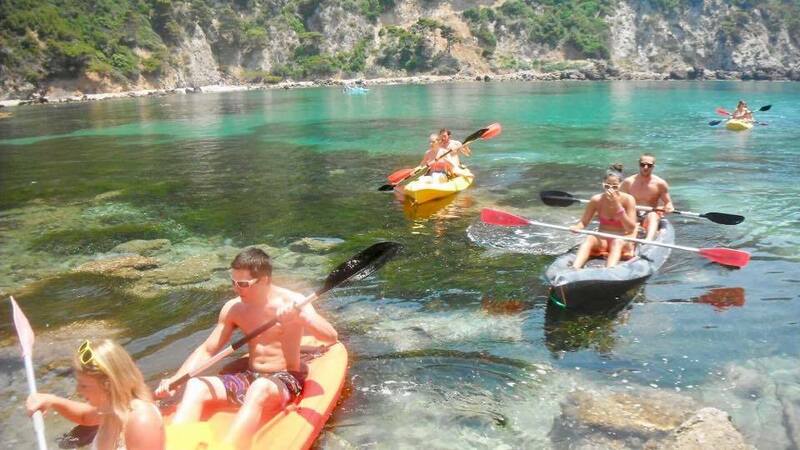 The event gives one a full view of the shoreline of Agios Gordios Beach from the ocean where you’ll see the abundant flora covering the mountains. This makes Corfu special and unique to other Greek islands. You don’t need to be a guest of The Pink Palace to join our guide tours. 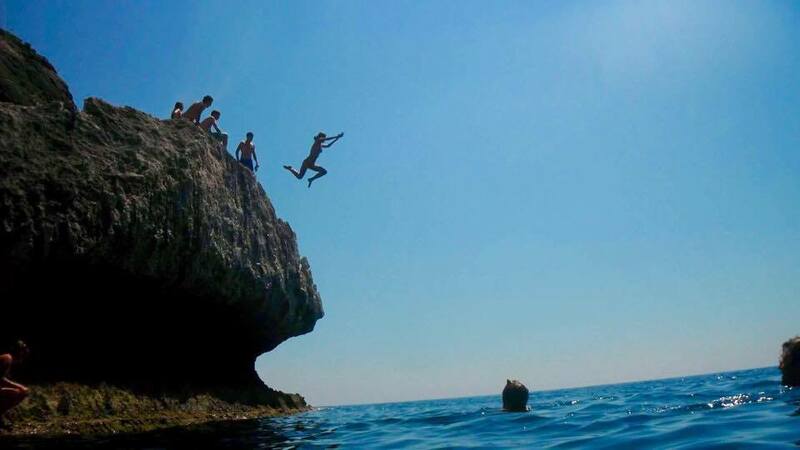 You’ll get a chance to go cliff jumping followed by a break at a secluded beach where you’ll have time to swim and enjoy your packed lunch made by our cooks. Aside from the stunning scenery, perhaps the most extraordinary spot is the old monastery located on top of a green, rock island – a local, historical gem. It is still used for regular services and believe it or not, it even has it’s own wifi! Here, you can see the beautiful patterns of blue and green water. This is the best spot for a picture- be sure to tag The Pink Palace! The dock is surrounded by captivating sea-life if you wish to snorkel or take pictures with an underwater camera. 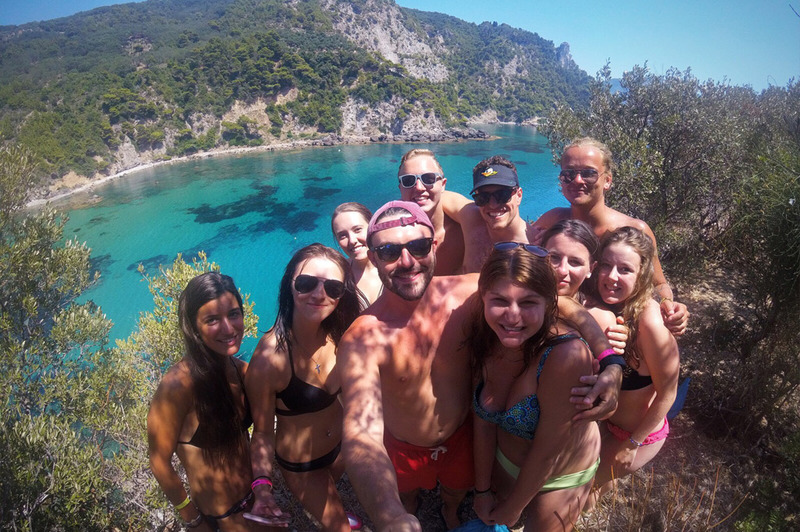 Since The Pink Palace family has helped with the growth of tourism in Agios Gordios Beach, guests are never disappointed with our knowledge of Corfu during the activities that we offer. You don’t need to be a guest of The Pink Palace to join our guide tours. Sign up at our reception desk and bring ID and you can be included on these one-of-a-kind adventures!